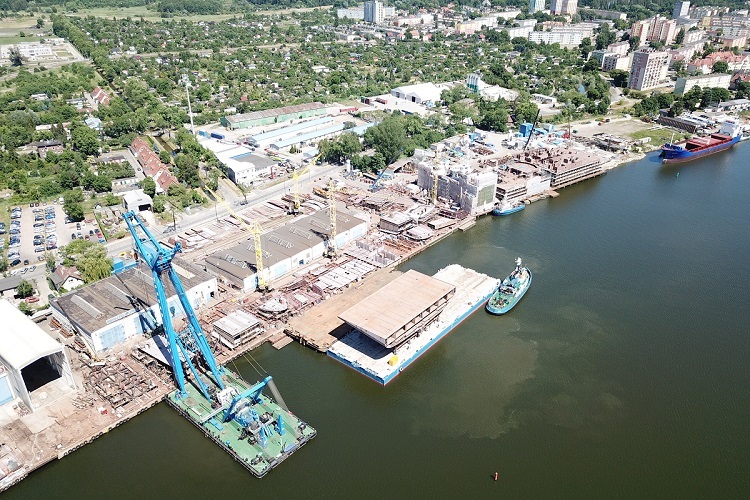 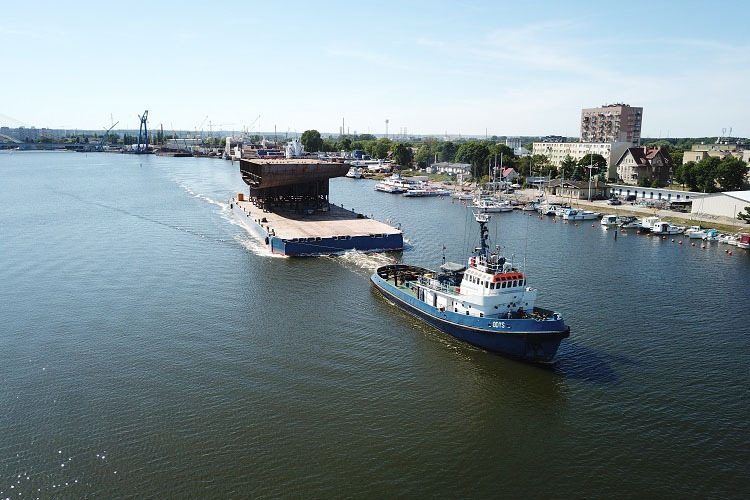 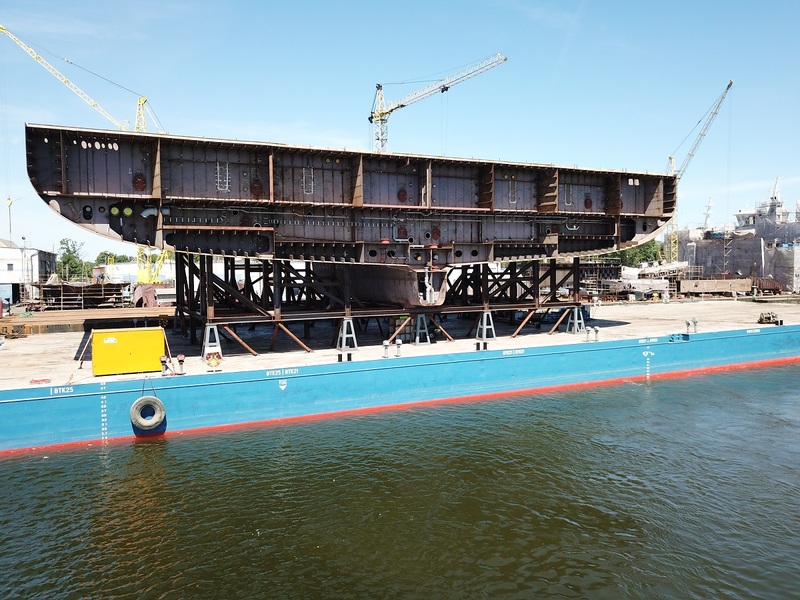 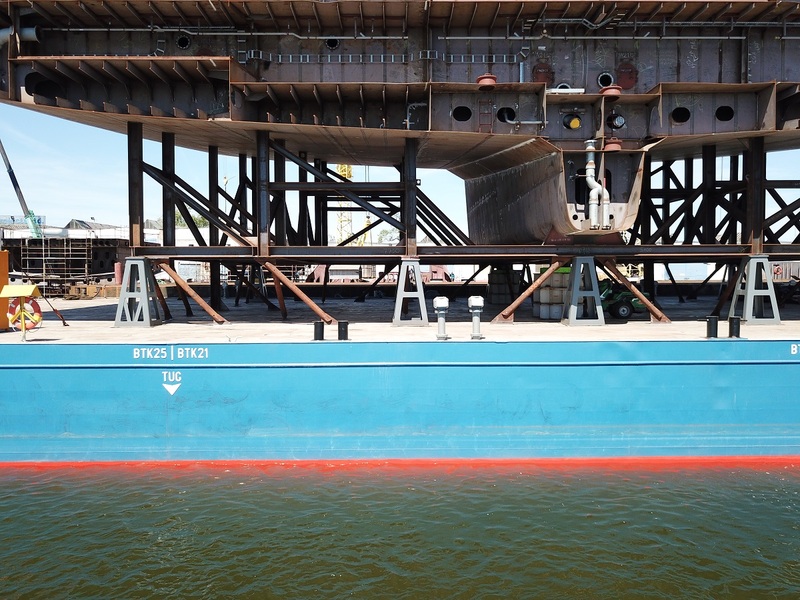 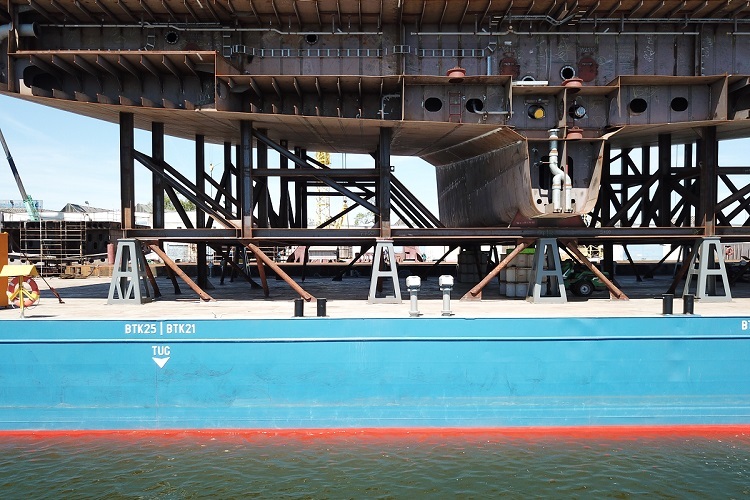 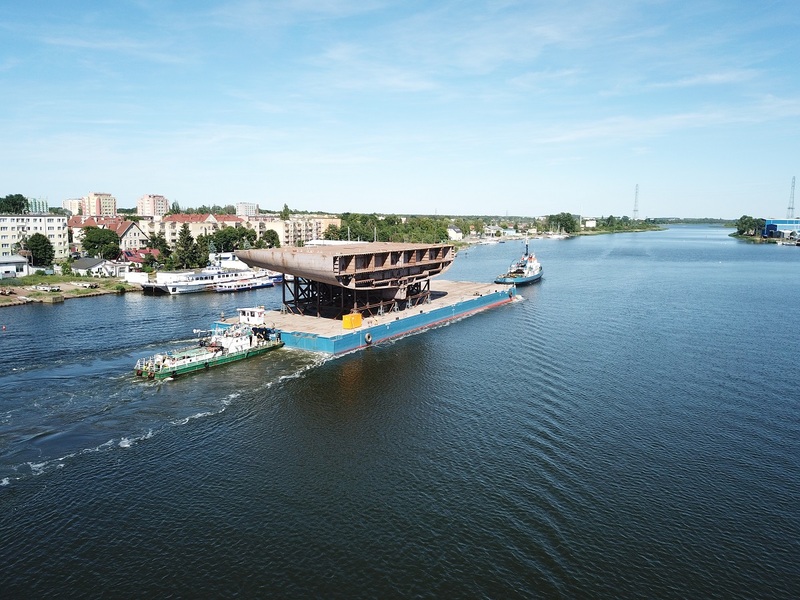 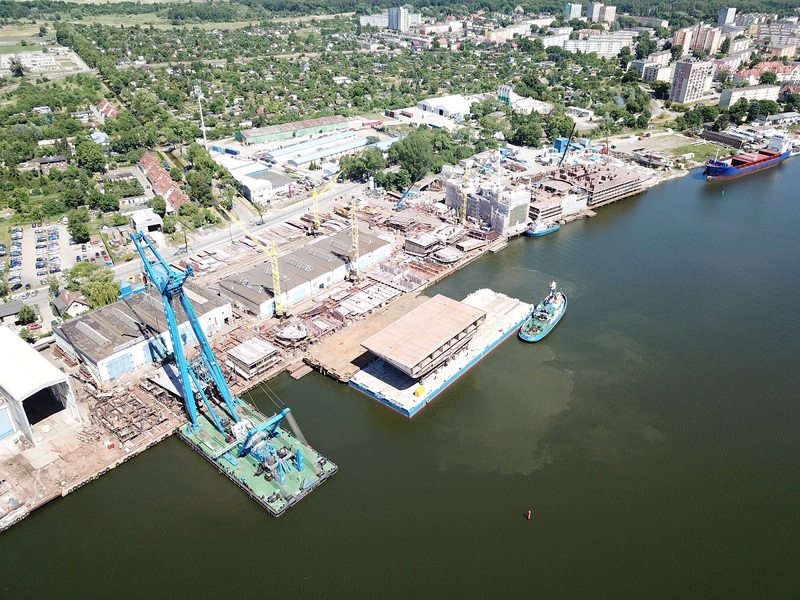 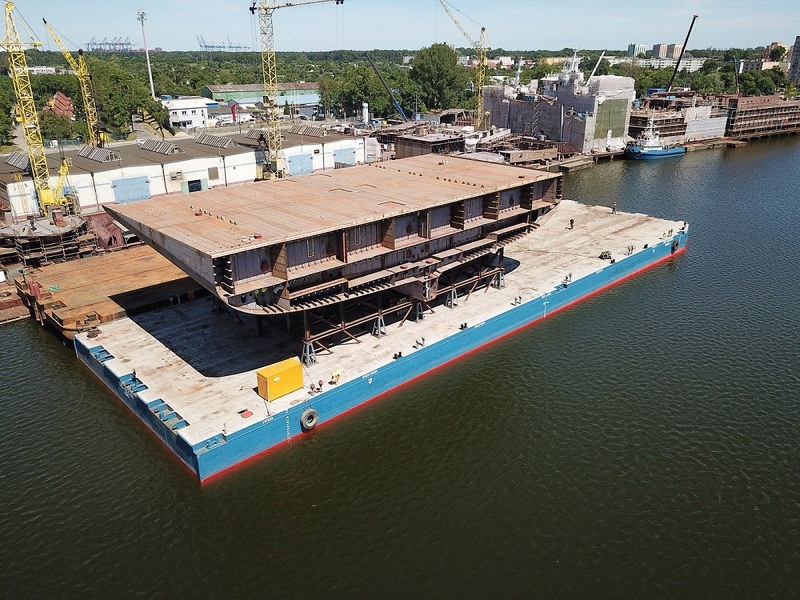 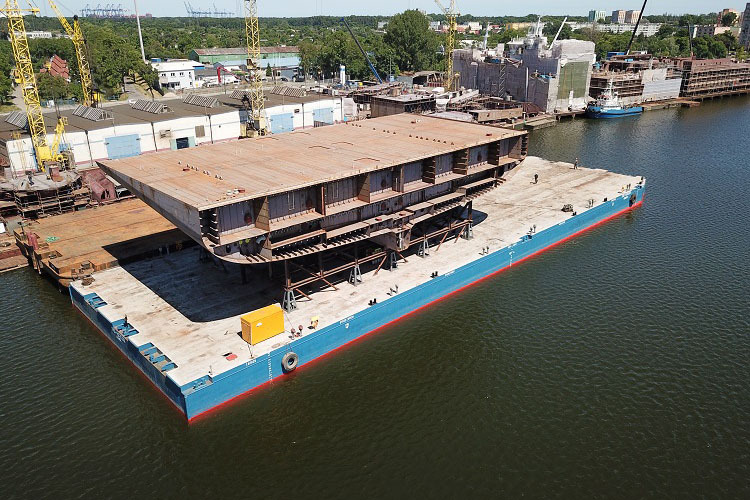 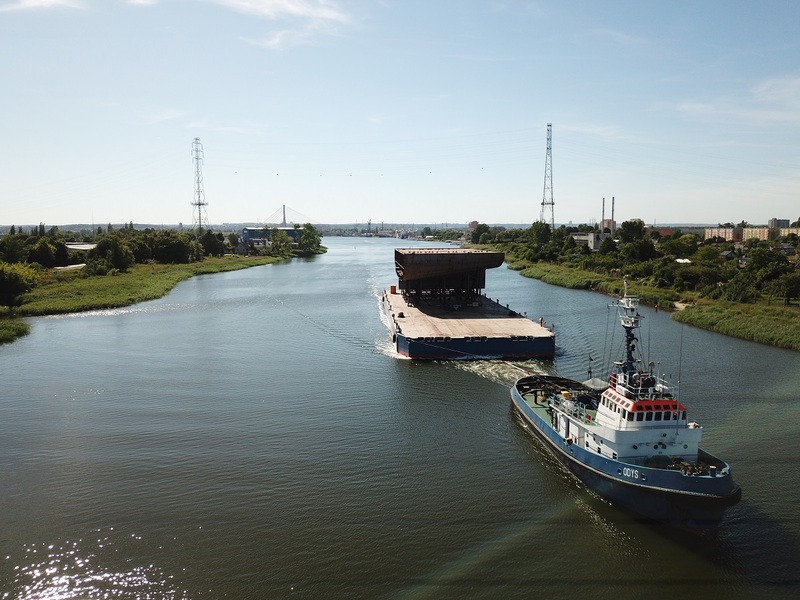 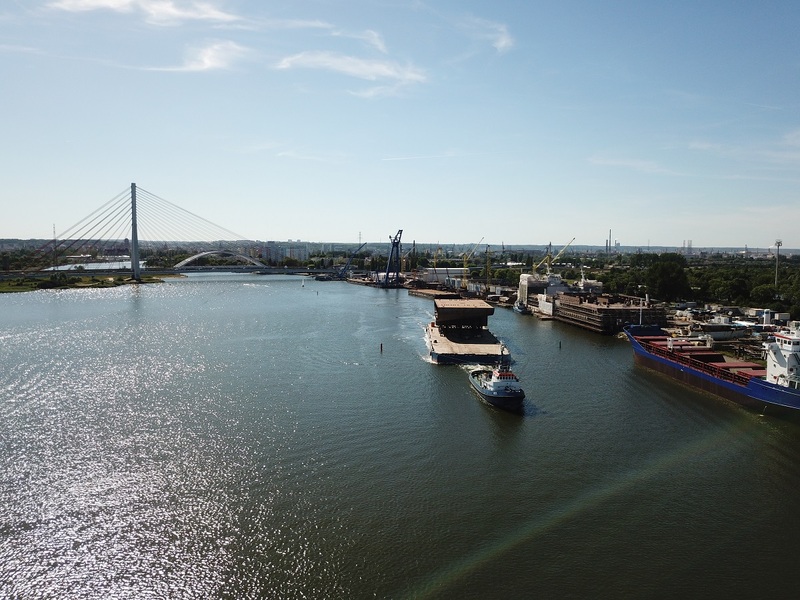 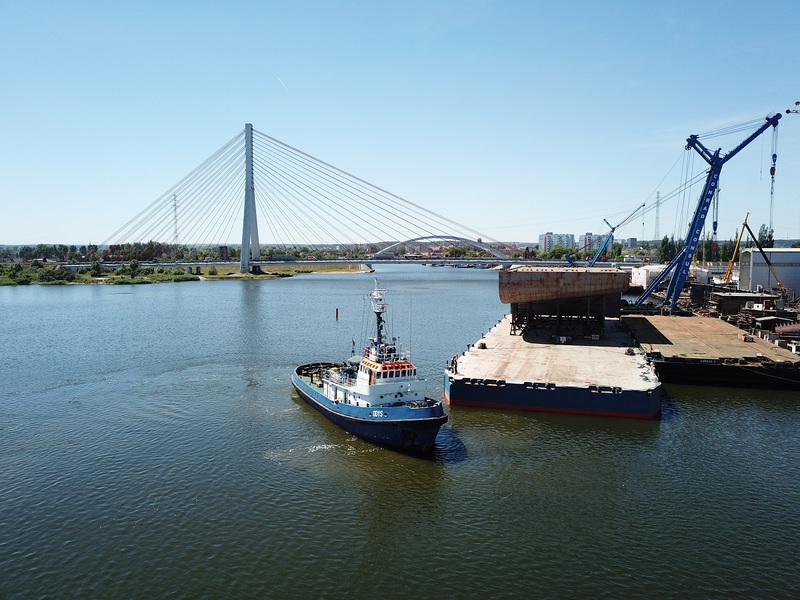 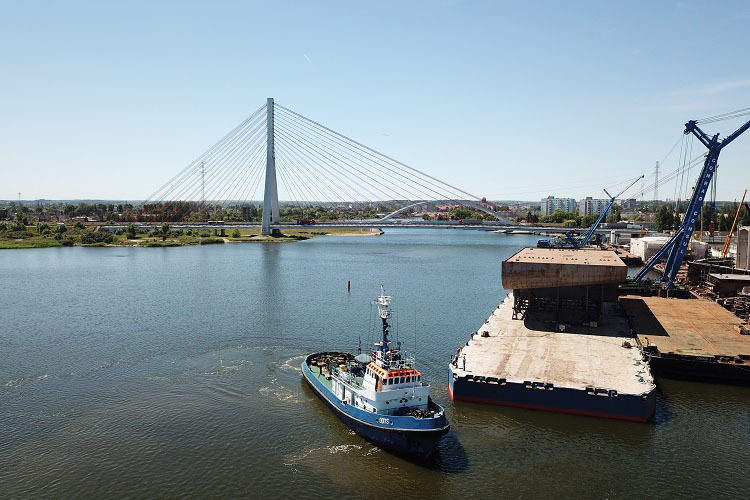 Trend Projekt was responsible for load out of block onto TRD Horizon barge from Wisla Quay via skidding method and ballasting of the barge during operation. 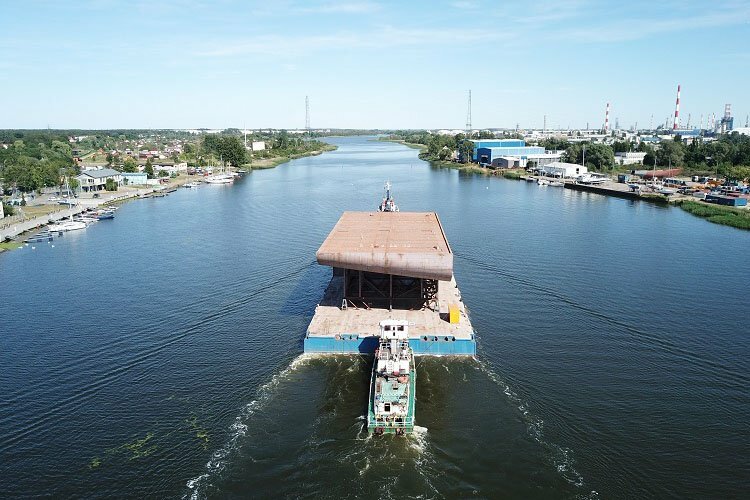 Our engineers team prepared all necessary documents and permissions for sea transportation. 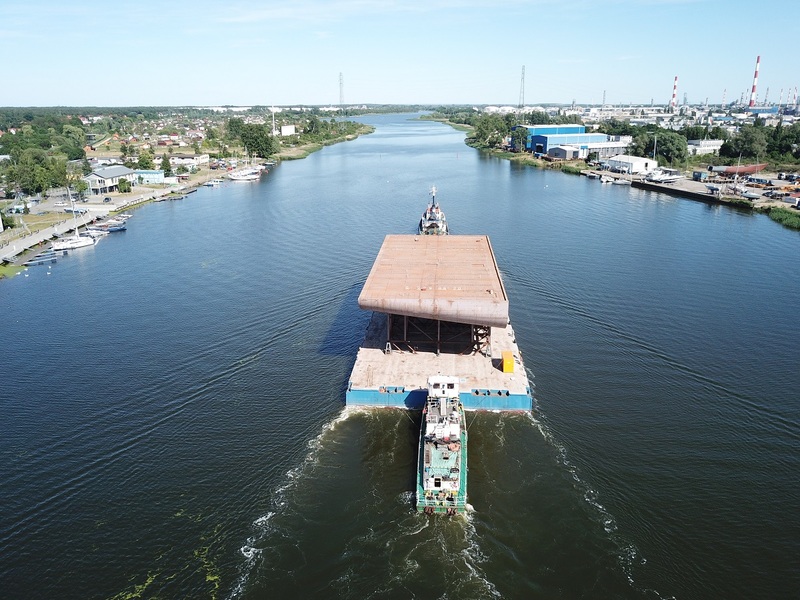 Before sailing whole set of block, barge and tug were surveyed by Independent Claims Surveyors Polska. 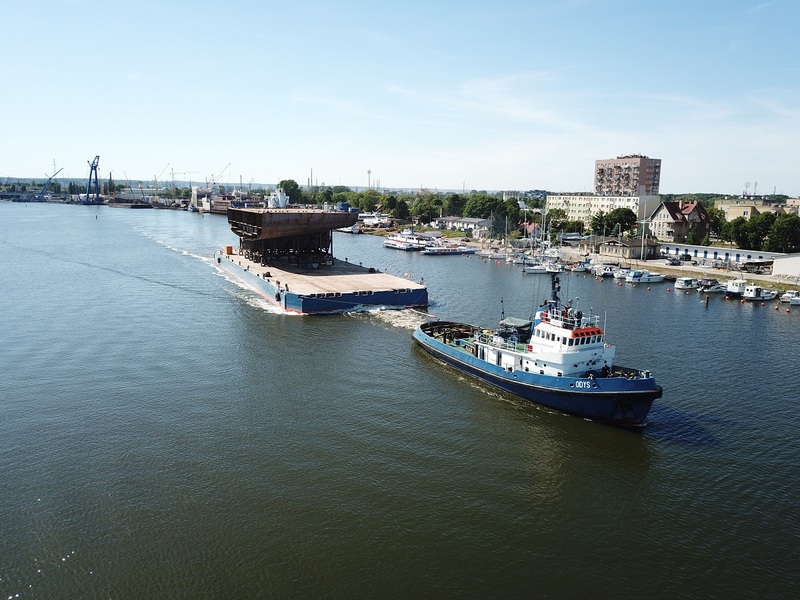 Trend Project crew assisted during discharging of block in Turku by trailers. 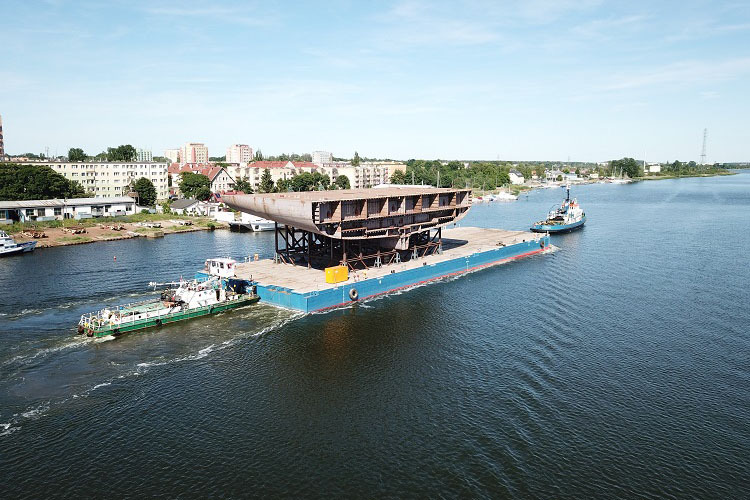 In Turku we prepared barge and supports for trailers entrance under the block. 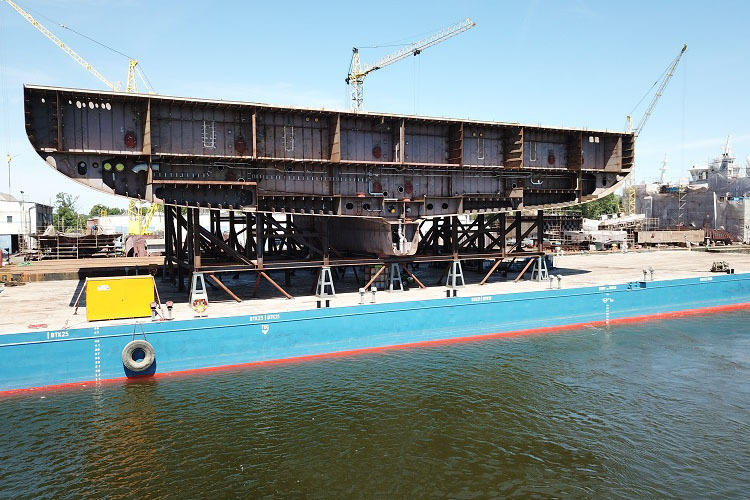 During discharge Trend Project’s ballast engineer ensured equal level of barge. 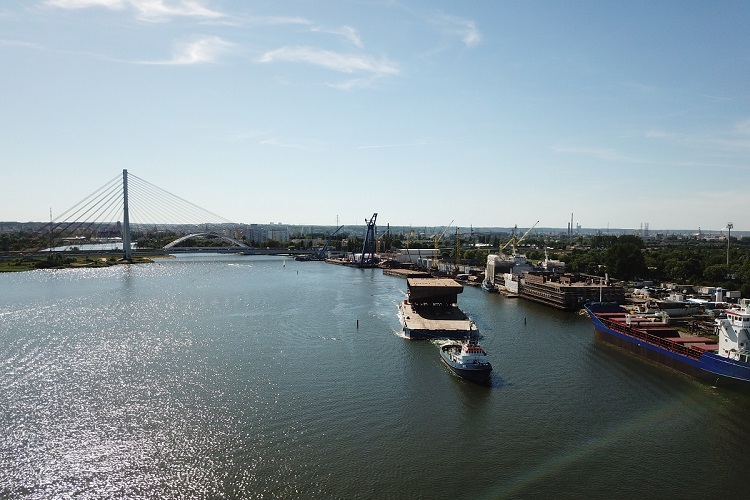 This was our first delivery to Turku, we prepared very precisely and no unexpected situations occurred.